This week 2 Guns hits theaters. 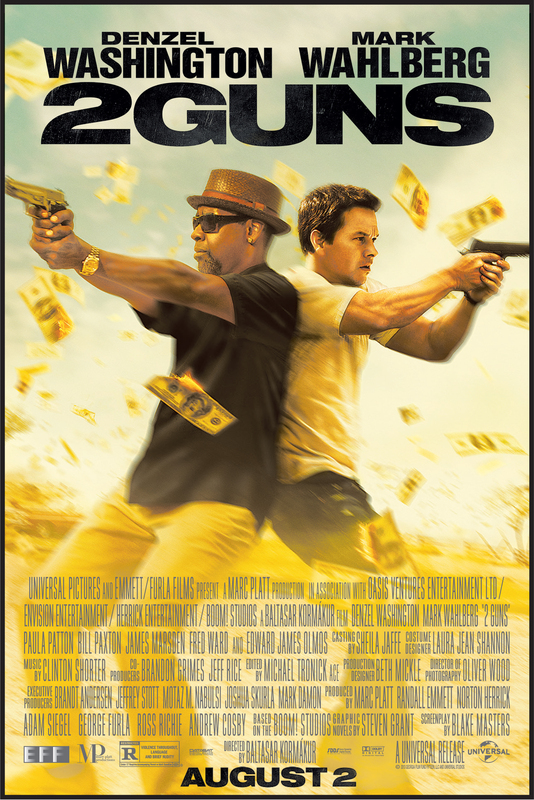 Denzel Washington and Mark Wahlberg play partners in crime and/or against crime. It’s a little convoluted. But it’s surprisingly smart and (amazingly) one of the better action films of the summer. The pair attempt to take down a drug cartel and the action focuses on the Mexican border. Which got me to thinking about other films that feature that same locale. So here’s your list… Movies that take place along the Mexican border. This Orson Welles‘ classic opens with a 3-minute and 20-second tracking shot in which a booby-trapped car winds its way through the streets of bustling Mexican border town. It’s a stunning achievement of cinematic choreography that filmmakers are still trying to replicate. The film is considered one of the last examples of film noir in the genre’s classic era. Ironically, Welles was originally hired merely as an actor. However, when Charlton Heston, the film’s star, saw that Welles was in the cast he insisted that he also be allowed to direct. So, Welles was allowed to rewrite and direct the film…as long as he didn’t want more money. Since Welles career was floundering at the time, he jumped at the opportunity. Unfortunately, the studio didn’t like the rough cut he submitted and hired a different director for reshoots. When Welles saw the final edit of the film, he wrote a 58-page memo giving detailed instructions on how the film should have looked. The studio, finally recognizing him for the genius he was, recut the film to his specifications and it won that year’s Oscar for “Best Picture”. I’m totally messing with you. They completely ignored him and released the film with virtually no marketing. It was relegated to B-movie status (the second half of a double feature at that) where it came and went with little notice.